Earlier this week, I shared my approach to and the tools used for building a WordPress Plugin. In the post, I briefly touched on CodeKit, but I didn’t really talk about why I use it nor did I share how I configure it for my WordPress-based projects. 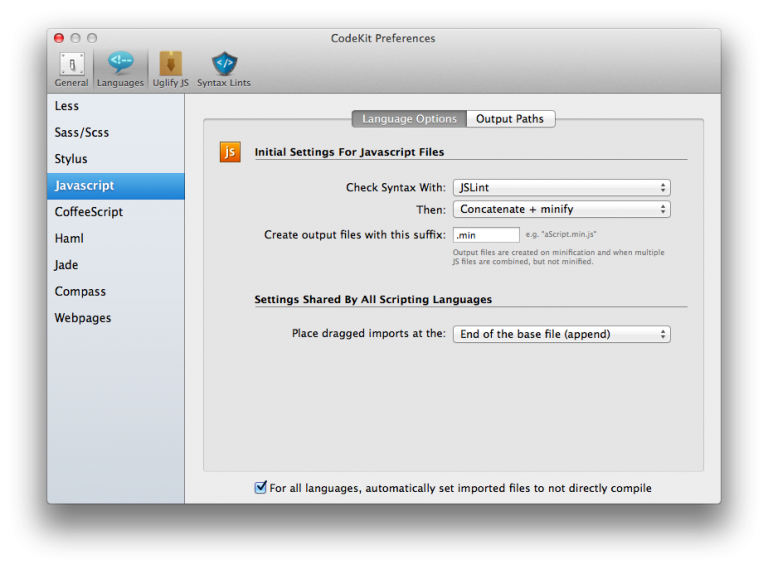 CodeKit is a platform-agnostic application – it’s meant for anyone who is doing web development – and it has been one of the single best tools that I’ve added to my WordPress toolbox in the past year. 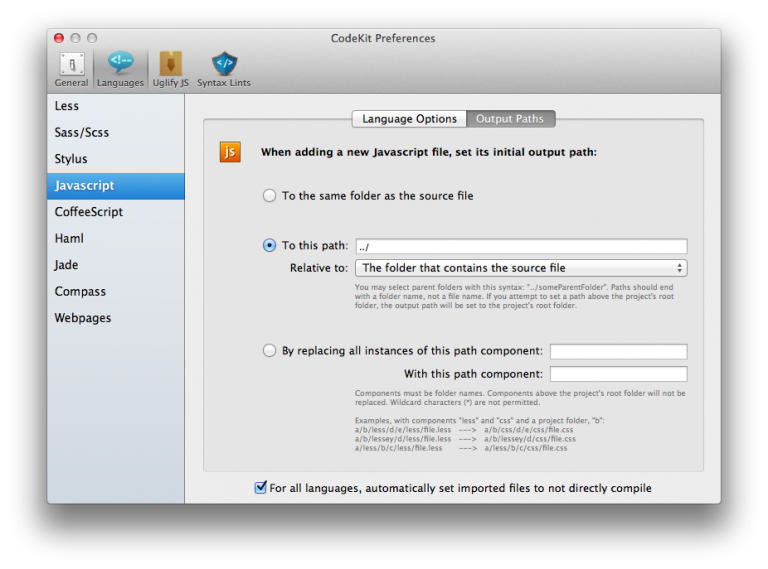 Though there’s no single “right way” to configure it, here’s how I’ve been using CodeKit for WordPress plugin development. Obviously, I use LESS to write CSS, but the less directory serves as my working directory. 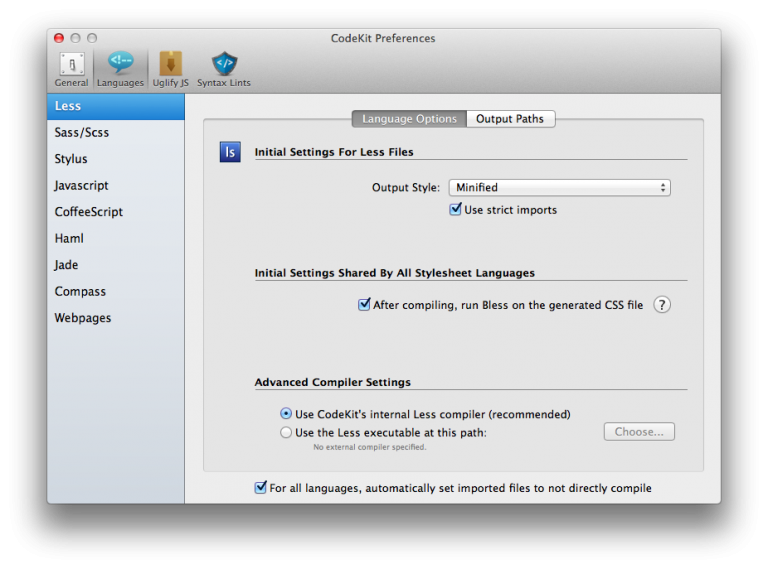 Any stylesheet that resides in the root of the css directory is generated by CodeKit. 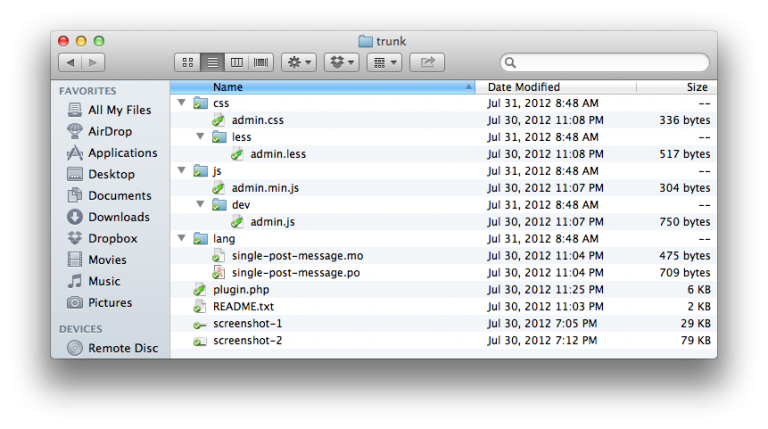 Again, all of the files in the root of these directories are generated and output by CodeKit. Obviously, I use LESS but I’m not one to take a strong stance on why you should use it (or why you shouldn’t use Sass). I like LESS so I roll with it. And that’s it for the LESS configuration. Easy enough. This will prevent CodeKit from generating JSLint errors for globals that it doesn’t recognize or that it considers undefined. For the most part, that’s it. All of the settings are configured at the global level so they are applied across the board to each my projects. By using a standard directory structure for organization and a global configuration, it’s really easy to get up and going with new projects (and even converting existing projects). 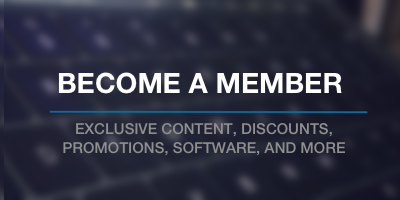 Yep – it’s solid and when you can nail down the parameters and configuration you like along with a good source control setup, it’s hard to beat. 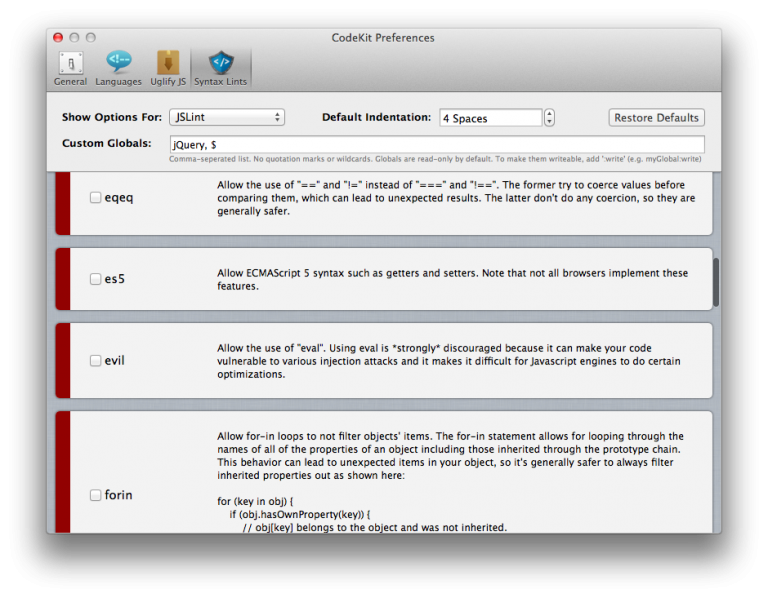 Great article tom – i always enjoy reading the general workflow of other devs! Ah man, no problem – thanks for the RT, as well! 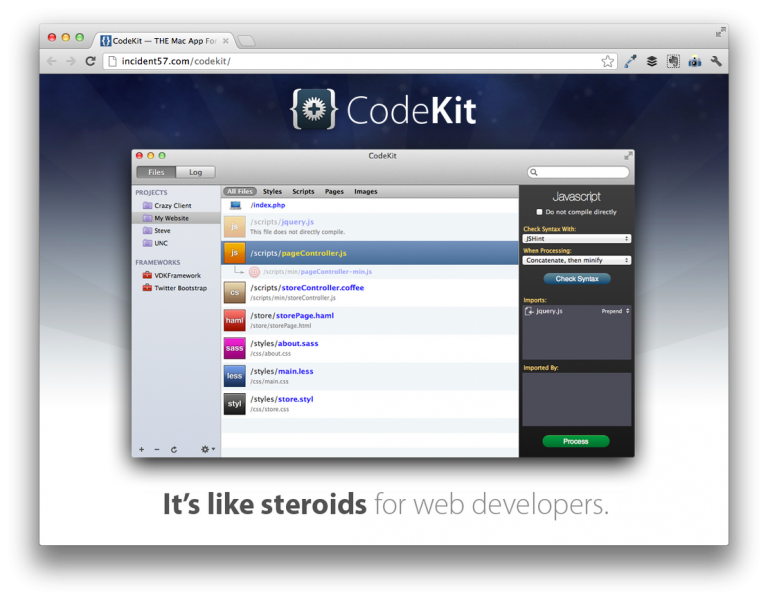 I have the problem that the auto-refresh feature for less/css does not work using WordPress + CodeKit. It’s frustrating. You can only change all plugins that don’t meet the, catch all the output and rewrite (performance penalty!) 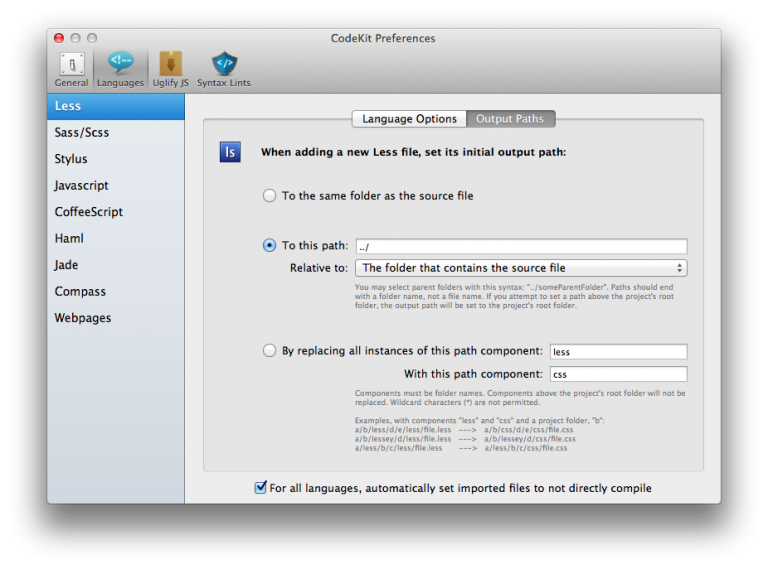 or use an alternative to CodeKit. Yeah, I understand what you’re saying. I don’t fault Bryan for sticking to the specifications, to be honest. I don’t even really use the autorefresh feature because it doesn’t tend to work well with my workflow, but I totally see how that could be problematic for those who do. At least you’re able to write a plugin to help mitigate it. I think that’d be useful for some people who are experiencing the same thing that you are.